It's always fun to stretch your supplies and use them in fun, unexpected ways. 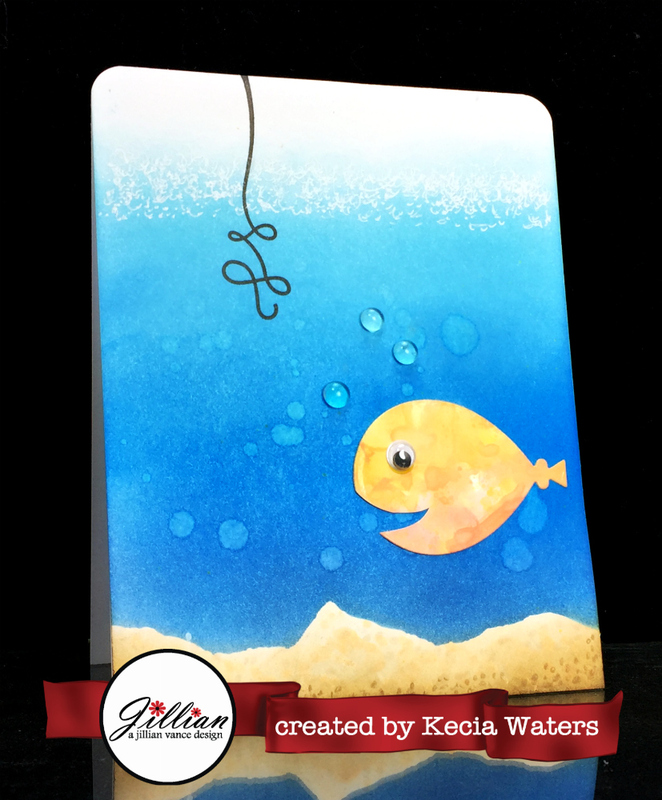 Kecia Waters on the blog today sharing with you a new take on a balloon. To make this card, I was playing around with Distress Oxides on glossy cardstock. I smooched Distress Oxide Spiced Marmalade, Fossilized Amber, Wild Honey and Abandoned Coral onto my craft mat and spritzed with water. Using glossy cardstock I randomly picked up these puddles of ink. Once dry, I applied Distress Glaze to the cardstock to make the colors shine on the paper. 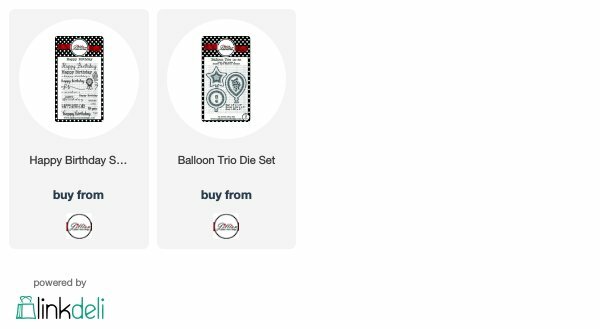 Using one of my favorite die sets from AJVD, the Balloon Trio Die Set, I cut a balloon from this glossy cardstock I had treated. As I looked at the balloon on its side, I saw a fish. I promptly took my scissors and cut a V-like curved mouth, added a googly eye, and the end result was this cut little fish. I took a panel of white cardstock, masked along the bottom and sponged various Distress Inks (Tumbled Glass, Salty Ocean and Faded Jeans) to create an underwater scene. I flicked some water droplets onto the cardstock to react with the Distress Inks. I removed the mask, and used some Copic markers to create the ground. Using the AJVD Happy Birthday Stamp Set, I stamped the little curly line with Versafine Onxy Black. I added three crystal bubbles to complete the card. I challenge you to look at your stamps and dies in a different way. You never know what you might come up with to extend your supplies!